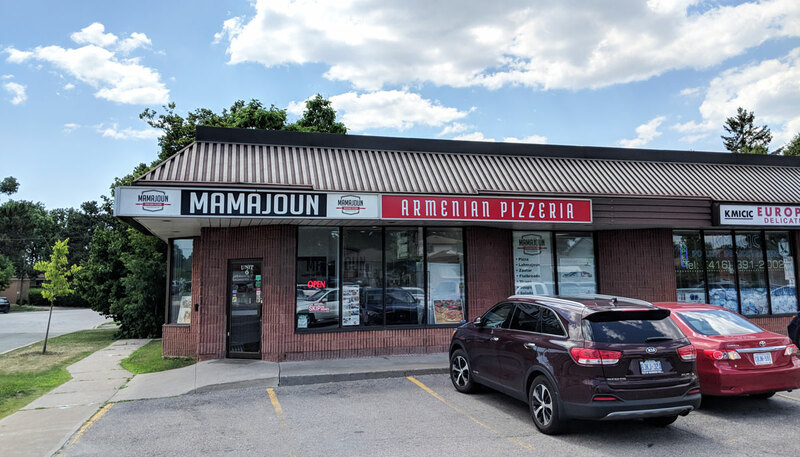 Mamajoun is an Armenian pizzeria that specializes in lahmajoun, a tasty flatbread that’s traditionally topped with a mixture of ground beef and minced veggies. It’s mostly a take-out place, though they do have a few small tables and a counter where you can sit. 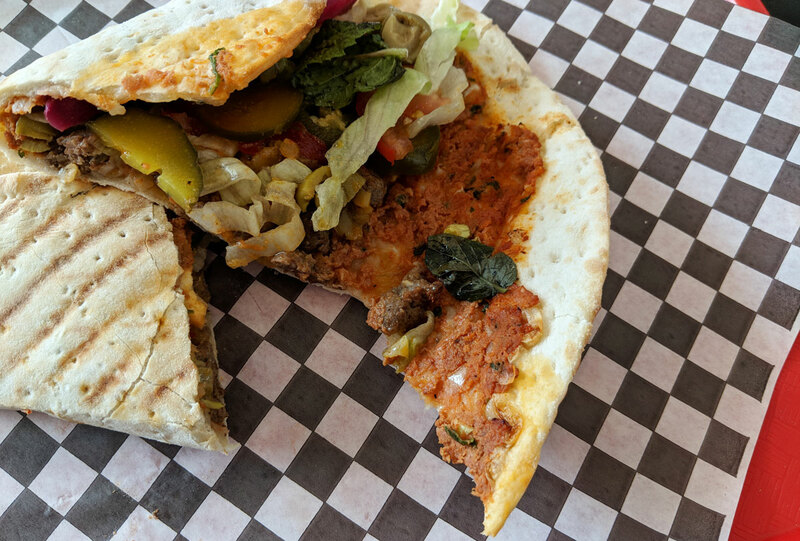 You can get your lahmajoun on its own, or you can choose from various fillings; they wrap the whole thing up and stick it in a panini press to give it a nice crispiness on its exterior. I’ve been eating the Middle Eastern version of these (called lahm bi ajin — basically the exact same thing, but with a different name) for pretty much my entire life, but for some reason it’s never occurred to me to cram more stuff in there and eat it like a wrap. And I have no idea why; it’s kind of ingenious. 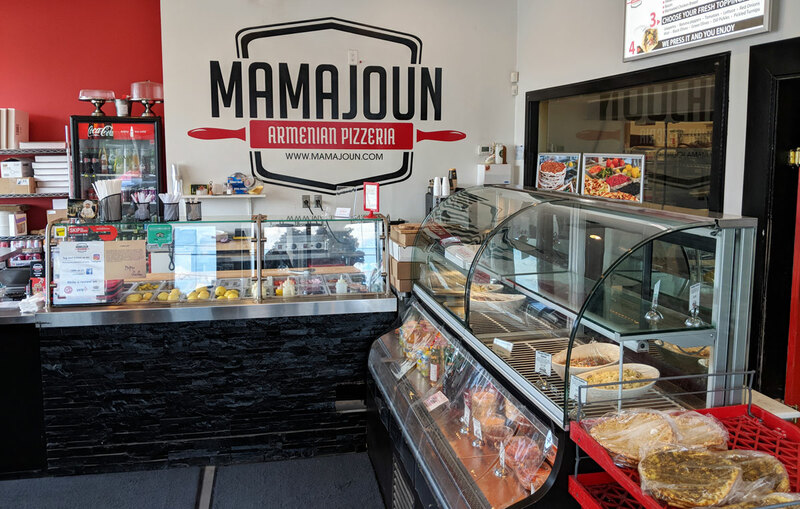 I chose to have mine filled with soujouk, which is a really tasty sausage that basically combines the intense flavour of a cured sausage with the texture of a fresh one. 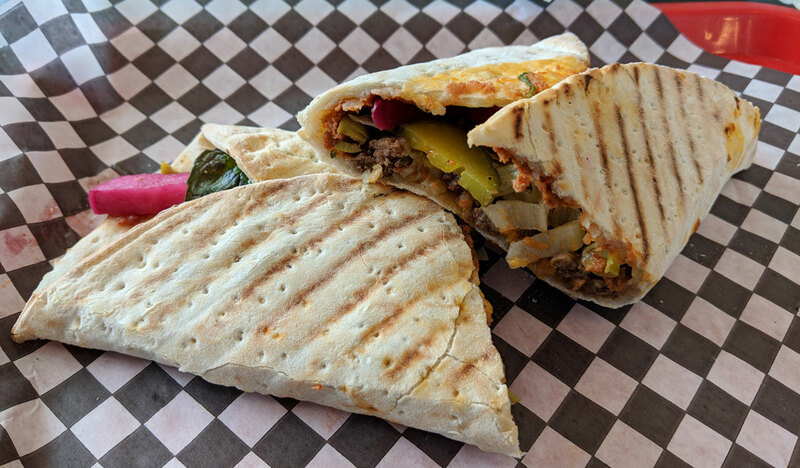 You can also fill it with the usual assortment of olives, pickled goodies, and hot peppers that you’d expect from a Mediterranean wrap. It was quite tasty. The lahmajoun itself had a nicely spiced meaty flavour, with a good contrast of fluffiness and crispiness on the flatbread. The soujouk and the other fillings worked really well; between the vibrant sausage and the various vinegary pickles, it’s an absolute face-punch of flavour. I thoroughly enjoyed it.